HDFC Bank has been very successful with their premium offering Regalia Credit Card, so much so that everyone wants it. Earlier HDFC Bank used to issue Allmiles credit card for those who’re not eligible for the Regalia. But HDFC recently decided to stop issuing Allmiles card, probably because it was run by a different loyalty partner. So that’s how HDFC Regalia First came into existence – as a good replacement for Allmiles credit card. Note that this is the Regalia First and do-not get confused with the original Regalia, which is one step above this card. Fulfilment: After completion of the card anniversary year. So if you’re able to spend 6 Lakhs in a year, you can get reward rate as good as 1.2% – which is pretty good for a card of this range. Every now and then HDFC runs offers with various merchant to give you 2x/5x/10x of the regular points which multiplies the reward rate so well. Hence, lookout for the offers every now & then. All the above reward rate that i’ve mentioned is possible to achieve only when you redeem the points for travel bookings (flights/hotels). If you prefer to redeem your points for shopping or other vouchers from the catalog, you’ll end up loosing a lot. Redemptions are easy and I’ve myself used the original Regalia Reward Points to book a trip to Vietnam – typically saving 25,000 INR using points. Note that most of the Visa/MC limits are set to every quarter, but with Regalia range of cards its an yearly limit, which is great indeed. If you would like to check the remaining visits left on your card at any point of time, you need to check with Priority Pass directly (pp@prioritypass.com.hk) about the visits done on your PP card. Just deduct that # from your actual limit and you’ll get the remaining limits on your PP card. Caution: Any visits made in domestic lounges or visits made above the limits at Intl Lounges with attract $32 fee per visit. HDFC Classic Banking: If you’re a Classic Customer for >6 months with good Balance/AQB, you’ve higher chances to get Regalia First if above condition is not met. Upgrade: Limits above 1.5 Lakh on existing HDFC card (Moneyback) with good spends would help. That aside, most of the salary account holders are given HDFC Regalia First even if you don’t meet the above eligibility criteria, provided your company is banking with HDFC. HDFC Bank is certainly doing a great thing by introducing Premium benefits to regular customers. Its also in line with the current generation’s expectation to meet their growing travel needs. And not to forget, this is not the card to hold, but the path to get the original Regalia – the actual premium credit card. Whats your take on HDFC bank Regalia First Credit Card? Feel free to share your thoughts in comments below. Hi Sidharth, Nice blog with lot of information. Really helped to learn lot of credit card tricks. I am also holding Regalia first. But I think the reward point is equivalent to 30 paise and not 40 paise. Can you please reconfirm ? I’m having a hard time trying to upgrade my Money back to Regalia First. I have an existing limit of 1.5 and spends of 3 lakhs so far this year. You think I should escalate to Nodal O? In fact I even meet the ITR requirements comfortably + CIBIL. Easy way….ask them to deactivate your moneyback card. May be they can offer you upgrade at that time. If not, then also go for cancellation of card and apply for credit card through Hdfc website. You will get a call within 24 hours. How have you approached them for the upgrade? Through th Relationship Manager/Branch People? Abhishek – first on call centre and then by email to customer care. I don’t have any a/c with them so no RM. Don’t do that. Simply send your ITR/Salary Slips for 2 month with an upgrade form where you have marked lifetime free option for regalia first by taking either add on card or smartpay and send it to Chennai Address directly. Spends on electricity bills incur any additional charges? On paying postpaid/prepaid recharges gives reward points? can i pay through smartpay? Any benefits? Any payments through wallet will not get you points. You can pay directly on individual sites for points. Smartpay does not have any offer but payzapp has from time to time. I daily look up on this site for any new article/blogs. I share similar traits with you when it comes to using right credit card to gain maximum benefit. I am holding 2 HDFC lifetime free credit cards. One is Regalia First(upgraded from Superia) and Diners Premium(upgraded from Diners Rewards). The combined limit of both the cards is 80K. This is the same inspite that my salary has increased multifold . I had in past applied for limit enhancement. Can you please suggest me how should I go about it. Is holding 2 cards a restriction for limit enhancement. How did you got 2 cards from HDFC? I heard only in few cases due to high NRV. My experience with HDFC. I got R. First two years back. With good spends i finally manage to get pre-approved offer. Limit got extended to 4X. And now 2 months back again got offer limit increased to 50%. If that not works take help of RM/BM or send docs to chennai. Do LE or card upgrade request be put as Hard/ soft inquiry on CIBIL? Does it affect credit score if denied? What is the difference between Regalia First and Regalia First Business? Any difference in benefits/ rewards? 4. Groceries and online shopping. How to make the Regalia First LTF? HDFC card phone CC is the worst ever.. all are trainees, they have absolutely no idea even about basic queries. How can one increase spends and stay within 30% at the same time? Spend and pay off within statement generation date. Spend on card and pay within generation date. This tip is given by sid and many others in every blog. Better to read all the comments/discussions. I have gathered so much knowledge about cards. Thank you very much sid. But my cash advance limit & Reward points are still ZERO..
What can be done now with reward points.. Cash advance is not important to me since I never used it int he past??? I never asked for card up-gradation ever & it was always given to me by HDFC at each renewal + I’ve a credit score of 859, can it help in any way ?? 2nd Point I raised was how can they take all (100%) of the points claiming the above mentioned rule which means I did not made any transactions in the last two years & never accumulated any points in that period. I ignored the mail all together…. Now in my current statements they credited all of my points… All 37757 points were given back…. 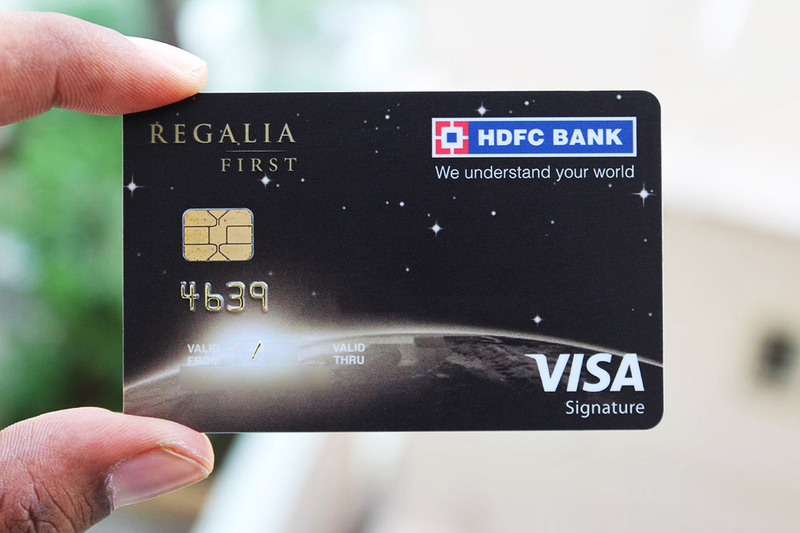 After a lot of researching I went for an upgrade from Solitaire to HDFC Regalia First card 2 months ago. The application process and issue of the card was a nightmare and I would simply call it a bad experience. Customer care is pathetic considering I have had a HDFC card all along(7 years to be precise) and having been their customer. So much that I made up my mind to cancel the card and go for a SBI card. But this article really made me change my mind and give the card a chance to prove its worth rather than decide based on people who handled the application process. Really well written article, gave me the confidence to stick to my Regalia First Card. Anitha – if you scroll up 3 answers you will see that I have written that HDFC CC is the worst. HDFC is the largest credit card issuers in India so they don’t generally care about their customers. ST Ali – can you tell us more about this KYC deactivation thing? What was the problem exactly, and didn’t HDFC ask you or warn you to provide details? Deactivation would be an extreme last step I thought? Mickey – They did sent mailer for KYC but they never mentioned the consequences if I did not submit on time… I missed the deadline since I was out of station. I’ve been a customer since last 14 years & did 100% timely payment. What i am unable to understand is how 100% of points would expire together… It not like I did only one transaction two years ago..
Dear Siddharth, thanks to your advice, I got the diners black card and amassed 50k points using the 10x program of hdfc. I have used them to book my hotels in Dubai for my family vacation. I had also used the air india reward points in the sbi cards for business class flights. Thanks a lot. Keep up the good work. I recently applied for axis my zone card. Despite of decent ITR and cibil score of 784. My application has been declined. I mailed them to ask the reason. May i know what’s fraud score reject? What made you apply to this useless card? Regalia First add-on card with Priority Pass. (Wife’s name). Yes. I do 3 access on my name cards. No problem. You just need as many card as there are travellers. No, why would I ? I only have one adhaar and one pan card. I’ve mailed to axis guys got reply it has been rejected due to fraud credit score. And they actually told you reason for rejection? Have escalated at different levels. Even talked with various representatives over phone. Got this reason in one of the mail. I don’t know what’s wrong with my documents or report. Sid, forex mark up is 2% but you can opt for global value cashback offer which offers cashback of 1% on the mark up. So that’s good I guess. Sending the upgrade form to HDFC Chennai. Have chosen LTF option with add on card. Is it advisable to write a figure for Limit increase also or they will decide the amount on their own? I have applied for HDFC Regalia First, but what I received was HDFC Business Regalia First. What is the difference between these two cards ? Is it really worth using this or should I request for change ? I am not self employed. Pls suggest. Recently, some reward points were adjusted/lapsed on my HDFC credit card even though there were no mention of any reward point expiring in next 30 or 60 days in the previous month’s statement. When I inquired about it, I was told that “EasyEMI, e-wallet loading (PayTM, Mobikwik & PayZapp) and transactions (PayTM & Mobikwik ) will not accrue Reward points”. Please notice that it says “transactions (PayTM & Mobikwik ) will not accrue Reward points”. Apparently, this is effective from July 1st, 2017 and they informed their customers about it. I recall that they disallowed e-wallet loading but not all sort of transactions on these platforms. Even your article from that time suggests the same. Can you please clarify if this is true? If not, how to go about it? Their customer care is adamant about this change being in effect from 1st July, 2017 and all customers were duly informed . In my personal experience, yes, all txns especially via Paytm doesnt get reward points, even for those non-walet loan txn’s like txns on Paytm Mall. They get added and then reversed. I don’t think anything could be done about this unless they decide to. Well, this is news to me. I thought only e-wallet loading was disallowed. Thanks for clearing it up! But you can share the proof mentioning it’s not eWallet transaction, they’ll(Customer Care) credit rewards points. I have raised complaint few times for high value transactions(like purchase of bike from paytm mall) and they have recredited the reward points. might be coz their system does not differentiate between wallet loading and payment of bill in Paytm and other wallets. Is domestic lounge access available for Regalia First add-on card holder also? No, only complimentary International lounge access (via PP) can be “shared” with Add-on card holder(s). Hi, I have Regalia first Credit card with no account with HDFC, I recently started using the card. I wanted to know the 10X reward scheme, does i mean that if i shop from flipkart/amazon/cleartrip for 1lakh i get 25000 points which is equal to Rs.7500 ?? Also any tricks to upgrade it to Black diners? 1. I have Regalia First Credit Card. The list of lounges shown in HDFC Regalia site is lesser than the MasterCard site. Will I be allowed in a lounge (complimentary) eg: Goa which is not in HDFC Regalia site but in MasterCard site? CC/PP at domestic/Int’l lounge respectively at the same time?? 1. The lounge access is only to the lounges as shown in Regalia site and not as per Mastercard website. For example, Bangalore Above ground level lounge is shown in Mastercard website but not in Regalia and you will be denied access there. By the way, Goa, as of now has no lounges which are functional. 2. PP issued by HDFC, if used for lounges in India are chargeable. You can simultaneoulsy use both main and add on card for access, provided it is within the total limit of quarterly access. You have heard it correctly. And Shailesh was specifically speaking about priority pass in terms of same time access for international lounges. For HDFC Infinia card, the Primary and add-on Priority pass card can be used simultaneously at domestic as well as international airports. Hello – I recently got an offer of upgrade to ‘regalia first’ from my moneyback card. Got a SMS for the same and netbanking shows the option of upgrade. But it’s asking of 1000 annual charges. Moneyback us free. Is thre anyway I can get regalia first for rather free ? You should able to get the card lifetime free by registering a biller in the smart pay section or by availing for an add-on card. Thank You Ananth ! Can you please also help on the steps , like if I just add biller in smartbuy, it will be get converted to LTF ? Or as Satish suggested in the below comment, do I need to send upgrade form to Chennai ? I too got upgrade offer in net banking for regalia. Hdfc stopped issuing LTF cards only FYF cards are issued from now. Tho you can get spend waiver benefit for annual charges. In this case, better apply for upgrade via branch or send filled upgrade form directly to Chennai office. In the upgrade form, you will have option to select smartpay or add on card to make it LTF. Thank you Satish! This sounds a better approach and I am going to give it a try. But Ananth has also suggested that something totally online could be possible as well. Any suggestion around that? Tha Nd again for your time and responses, Satish and Ananth! Is there any way NRI’s can get this card withy FD? I opened a savings account in hdfc last month , it has a balance of around 3 lakh. I also spend around 2000rs per day through debt card. Can i get this card based on the balance kept or money spent? HDFC Regalia First is way better than ICICI Platinum card. But as both can be easy to get LTF, you can apply for both to benefit from merchant offers. But then ICICI platinum card is very basic card and there are much better cards than this within ICICI portfolio itself, if you are eligible and can bear annual fee. But much depends upon your requirements. 1.Which card in your opinion will be better , if i get and option to choose from..? 2.Is 10X reward program still running on Both these cards for Flipkart and Amazon. d).2-3 Times Air travel from Bangalore to Delhi in a year. Not including Daily food and house rental expenses in the above as i cant get benefit on these via credit card. 3.Can i get a better life time free credit card then these from HDFC …?? I spoke with the sales guy from Bankbazaar and he told that i can get regalia first life time free card. Best LTF card from HDFC is Regalia card. Clubmiles is also good but has acceptability issues. Regalia First is one step below Regalia with lesser rewards. But you won’t get Regalia directly. These days HDFC provides Regalia mostly to their account holders only even if you meet their eligibility criteria. Better apply for Regalia First and then request to upgrade to Regalia card later. 1.Which card in your opinion will be better , if i get and option to choose from..? Depends on your lifestyle. HDFC Regalia tops the chart for most. 2.Is 10X reward program still running on Both these cards for Flipkart and Amazon. – Yes, check smartbuy site for offer validity. b).Little bit of online shopping (Depends on Offers) – Depends which sites – Simply click/HDFC cards or ICICI AP. d).2-3 Times Air travel from Bangalore to Delhi in a year.- Any card offering 15-20% discount via travelling sites. Not including Daily food and house rental expenses in the above as i cant get benefit on these via credit card.- You can, 5% on house rent and daily food too via SBI credit card. What should i do…??? – Read the various articles on this site! Hi Just few days ago was surprised to find Plaza Premium lounge at Del T2 don’t accept Regalia First. Same experience at Nagpur travel club lounge also. Do they issue priority pass as a card separately or Regalia card itself is swiped for international Lounge access?? has any one got such offer ? Hi. This is my first post here and I must thank all of you for your contributions, which had helped me to decide to go for the HDFC Regalia First credit card. I have converted few spends on EMI on my ICICI Bank basic bare bones credit card before and they charged 13% if i remember correctly. Plus unlike HDFC bank, ICICI Bank does give you the option for 3 months EMI conversion. I am a preferred banking customer with HDFC. When I called my RM and later the BM, both of them said that they can’t do anything in this and can only “forward” my suggestion. Have anyone else experienced this kind of interest rates for EMI conversion on your Regalia First or Regalia credit cards? I feel these rates are ridiculously high. Plus no option to repay in 3 months EMI. In fact, the interest rate is more than that of personal loan! I have always paid my credit card bills in full (total amount due) and before the due date. Would appreciate any comments which can help me understand if this is how it is with HDFC or I am doing something wrong. PS: I chose to NOT go for any EMI and pay the amount spent in full instead. Yes, the EMI rates are high since 2018 with HDFC and nothing could be done about that. Go for ICICI/Amex/Yesbank for EMI’s as they’re cheaper. When one plans to take a product on EMI, always see the rates of EMI on the website itself when you buy. Many a times, the website will offer NO COST EMI. Second this is that if the website doesn’t offer EMI, then you can pay in full and take the EMI later from bank. For that, bank rates will apply. So choose to pay from that bank which has a lower ENI interest rates like ICICI, YESBANK, AMEX etc. Also understand that HDFC, doesn’t award any reward points for regular EMI except in few circumstances. So if you plan to take EMI, don’t use HDFC. I have a regalia first visa CC. I was denied access to lounge in Bengaluru airport despite it being there on the list of approved lounges on the HDFC website. Since I was a first time user i did not question. Has any one else faced similar issue? What’s the main criteria HDFC look for to upgrade from Regalia First to Regalia? I have good spends + timely payment + CIBIL (810), but ITR is below their requirement of 15. @ Siddharth – Recently, the status for my HDFC credit card application (applied through branch/ RM) shows denied and received an email for the same. Dont know the reason yet. I can only think of 2 reasons (a) no credit score (0 score with cibil due to no credit history); or (b) residential address. Do you think RM can get it reversed on either of the counts i.e., get it approved? Is Business Variant considered a Corporate/ Commercial card? Lots of offers say not valid on Corporate and Commercial cards, whether they mean Business variants? Yes, they mean offers are not valid on the Business variant of the card. Hello sir I have rigelia first card if 1.4lakhs credit limit my annual income is 7.5 lakhs .